This album has been a long time coming. When Songs of Innocence 'fell out of the sky' from no where, Bono was quick to mention U2 had actually recorded two albums and would be releasing a companion album soon after. 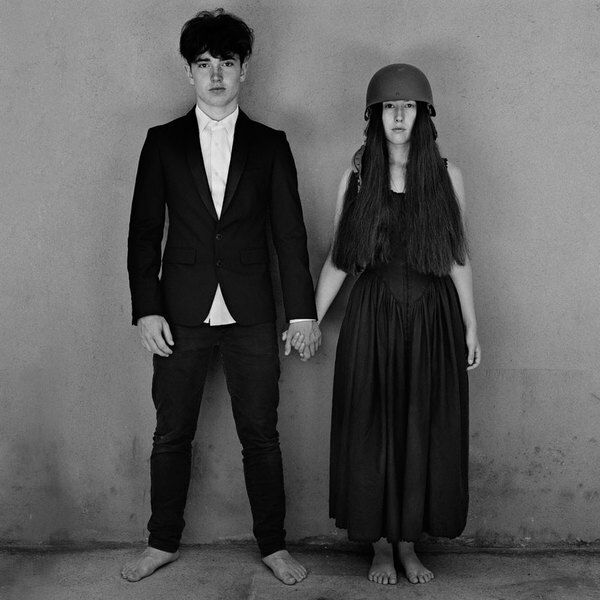 Well, no one listens to Bono so when he said 2016, we knew he meant 2019 so it's with some listening pleasure we are reviewing Songs of Experience in late 2017. And it is a genuine companion album to Songs of Innocence by several means. The inspiration is of course William Blake's book of poetry which casts life into the two groups of innocence and experience, the lyrics of Bono which are hugely introspective of his life (every song could be about himself or his wife) and by way of two songs taking musical cues from Volcano and Song for Someone from the first album. A mild opening track which sets a sombre tone for the album. Atmospheric and it largely works except for the ridiculous vocal manipulation done midway through. Could not be more of a different album opener that Discotheque if you tried. There's clearly going to be no tounge in cheek or village people on album. Woah, a bomb track straight off the board. Bland, uninspiring, how the heck did this song get through the band's internal vetting processes? The first single, and a great U2 track. A zippy chorus that gets better and better with each listen. This song is kind of almost by-the-numbers single but U2 has always had better numbers than any band. It's comparable to Magnificent from No Line on the Horizon in that sense. Another single, that promises much when it evokes the opening of Where The Streets Have No Name but doesn't get quite to that level of glory. A firm track to back up the first single. The one with Kendrick Lamar marshaling comment on rich people. Another American love letter from the band to America. They sure do write a lot about the US of A! The chorus is a direct lift from Songs of Innocence's Volcano and easily improves on what was a weak track from that album. Another stray from the rescue home. Could have done with a bit more TLC before being released back into the wild. No we are talking. The first genuinely brilliant song with a chorus hook to die for. A classic song in the sense that it's a upbeat song where the lyrics focus on the utterly depressing subject of Syrian refugees. If ever U2 were ever to write a proper Irish song that could be song across pubs around the world when the punters are up for a tune, this is it. This one of the best songs U2 have written in a decade. With a wonderful melody and a sing a long chorus to die for. 10 out of 10. A love ballad in pace, with lyrics that seem to be about Bono reflecting on his past life. The way Bono sings it is almost confessional. A potential live favourite. A clear love note from Bono to his wife Ali. Slow and plodding but builds nicely. The rocker song on the album, this has STADIUM written all over it. A filthy base line from Adam Clayton and his best in many an album. A filler track, but better than Lights of Home. Like many tracks on this album, a slow starter that land quite well at the end. The most beautifully haunting song on this album. Borrowing heavily from the wonderful Song for Someone this is U2's equivalent of Metallica's Unforgiven II. Simply superb and it continues U2's song tradition of really good album closing tracks. U2 will never record another Achtung Baby but we can still expect them to record cracker songs and a handful of those have been delivered with this album. A genuine surprise that the Lights of Home is so genuinely bad but that can be quickly over looked by the big singles and sing-a-long tracks that far outweigh any complaints. Despite Bono's rhetoric' about American President Donald Trump being the basis for a lyrical rewrite on many songs, the effect is neglible - maybe there's a a dig about him as a dinosaur in The Blackout and a bit of a sledge in American Soul but that would be about it. A strong effort from U2 and they should be proud that they have made a true companion album. Many bands are afraid to try new things so as to not upset the gravy train but yet again the biggest band in the world has got their hands dirty.